The Brooklyn Tweed Early Fall 2018 collection was published today. 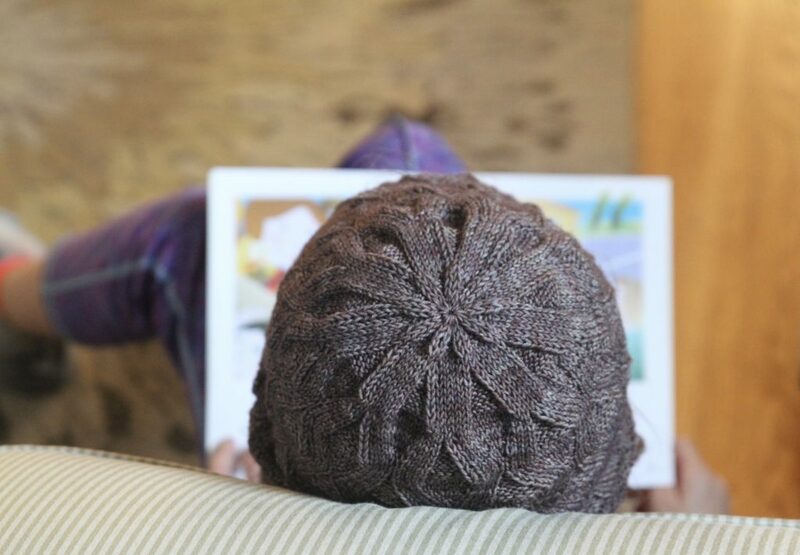 I knit the Kirigami Hat by Gudrun Johnson for this collection. 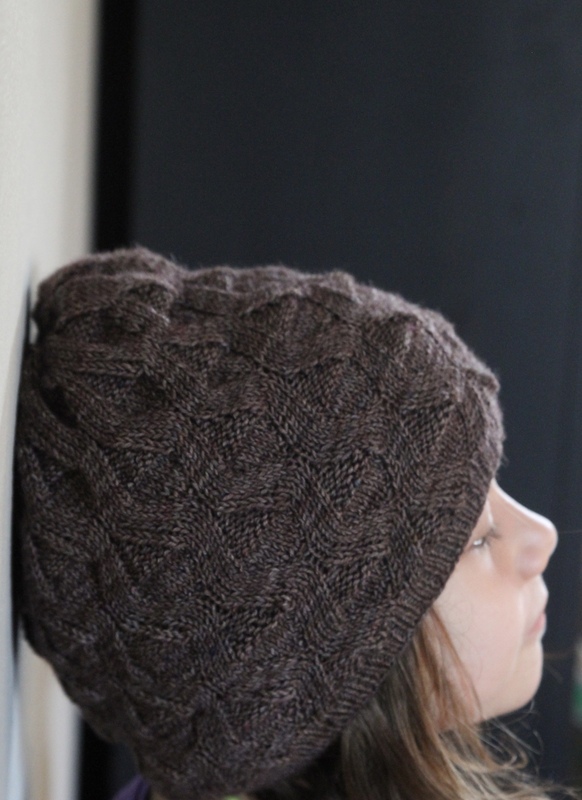 It is designed using a motif from an earlier collection and repurposed in the form of a hat. I think it works beautifully here and I love how the crown has a beautiful pattern though the decreases. 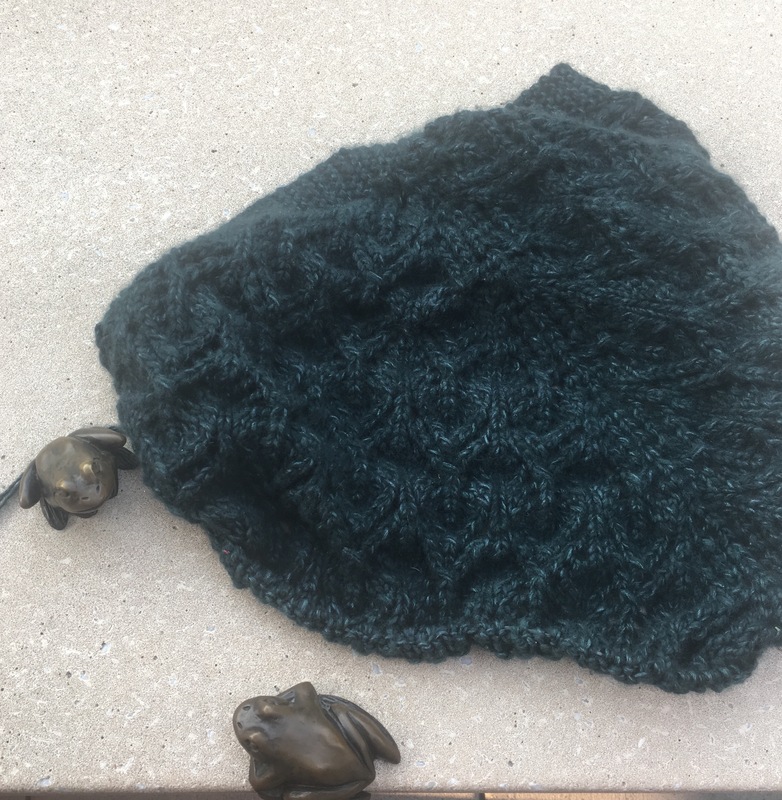 The hat is a little deceptive, there is no cabling taking place, but rather the shaping and pattern is made with increases, decreases and knits & purls. I matched the pattern with a brown that leans purple. The hat will be gifted to one of my daughter’s teaches come holiday time and she indicated that she is drawn to the color purple. I would like to knit up more of these and the pattern which is also written for DK yarn which would be a quicker knit than the one that I knit in a sock yarn. If I have time in my knitting schedule I will definitely make more. 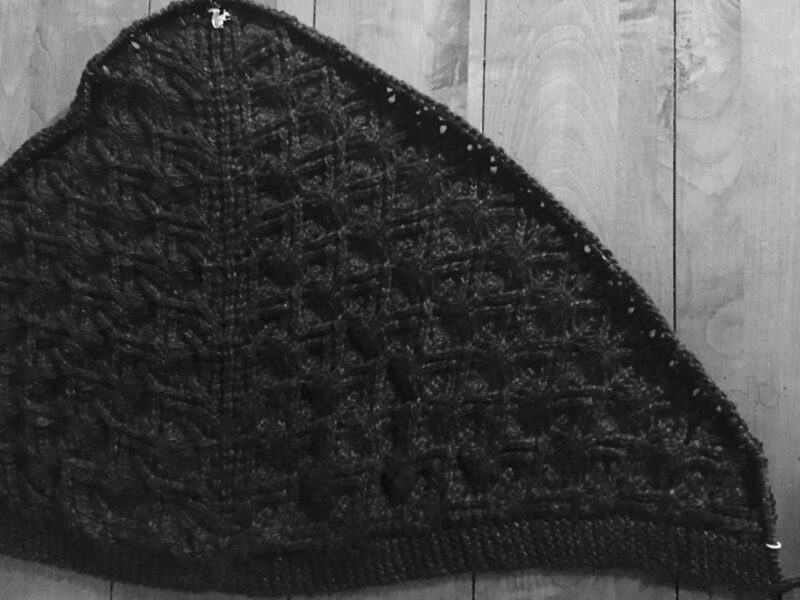 I got it in my head to create photo diary of the Authenticity Shawl by Softsweater I knit up this month. 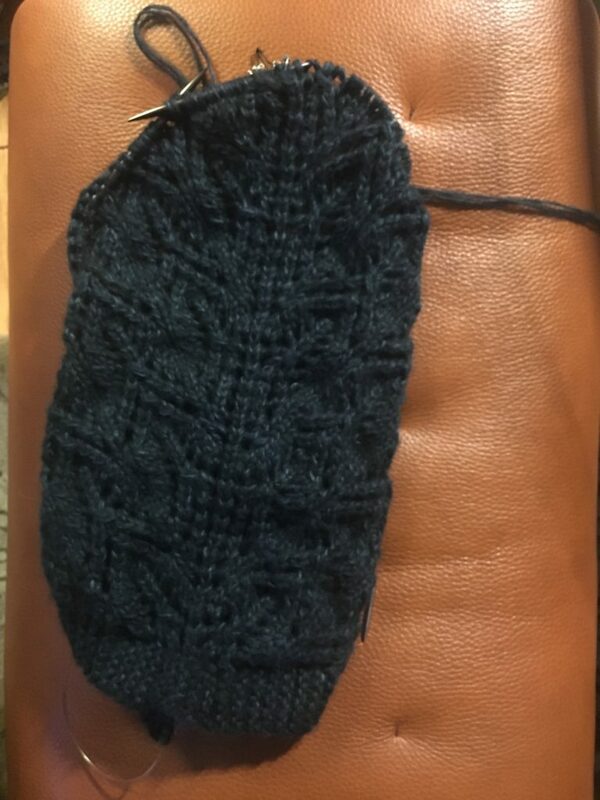 It was a really fun way to do a knit along and it also let me feel like part of a community in a different way. 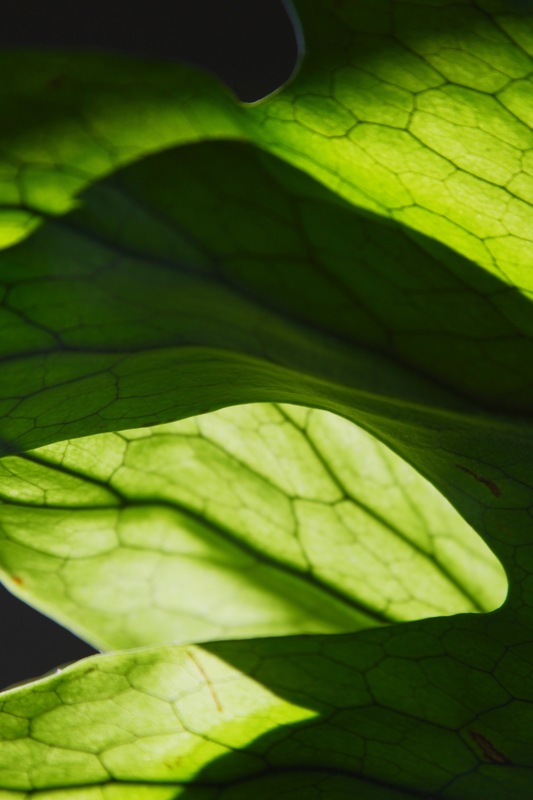 It was a great way to make a solitary project feel not so isolated. Here are the some pictures of the moments along the way ( I think I managed to take a picture every day with the exception of one). Somewhere along the way I thought it would be fun to document my latest knit as a day by day pictorial. Yeah, I know I there are no pictures (I got recruited to be the family taxi this weekend and it has affected some of my plans) and the shawl that I chose to knit is not done. 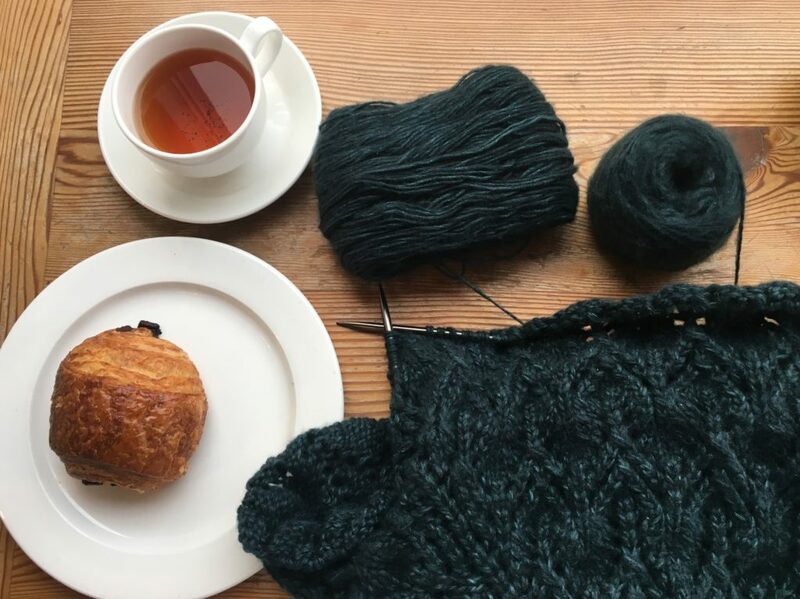 Can anyone related to having a WIP on your needles for longer than you thought? 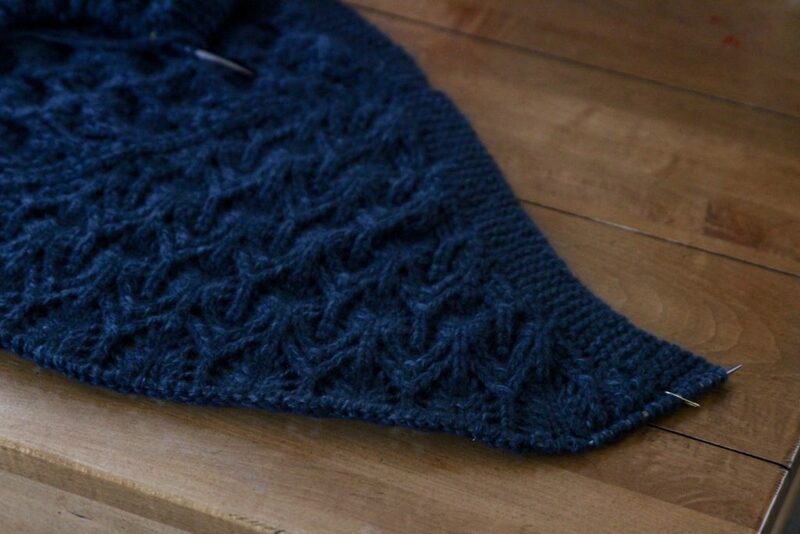 To be honest my Authencity Shawl might not get done this weekend but I am going to try to churn this out. 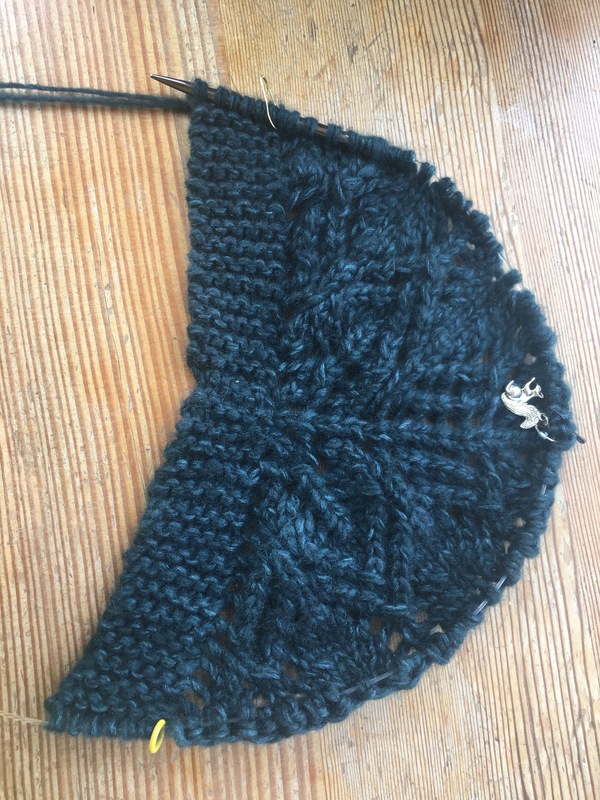 I am double stranding this project in cashmere, and technically It should be on to the garter edging, but I have learned I have super tight row gauges so I am going to just keep going on pattern repeats to stashbust. It will be pretty great thought to connect with some friends in Vancouver though (this may or may not work out). I hope you don’t get sick of seeing the same WIP one and over on instagram..
Texture. I like it, it makes knitting more interesting to me and adds structure to whatever I am knitting or crocheting. Lately I have started to knit a couple of cashmere projects in lace motifs. Its been kind of fun and one of them in particular is really addictive. 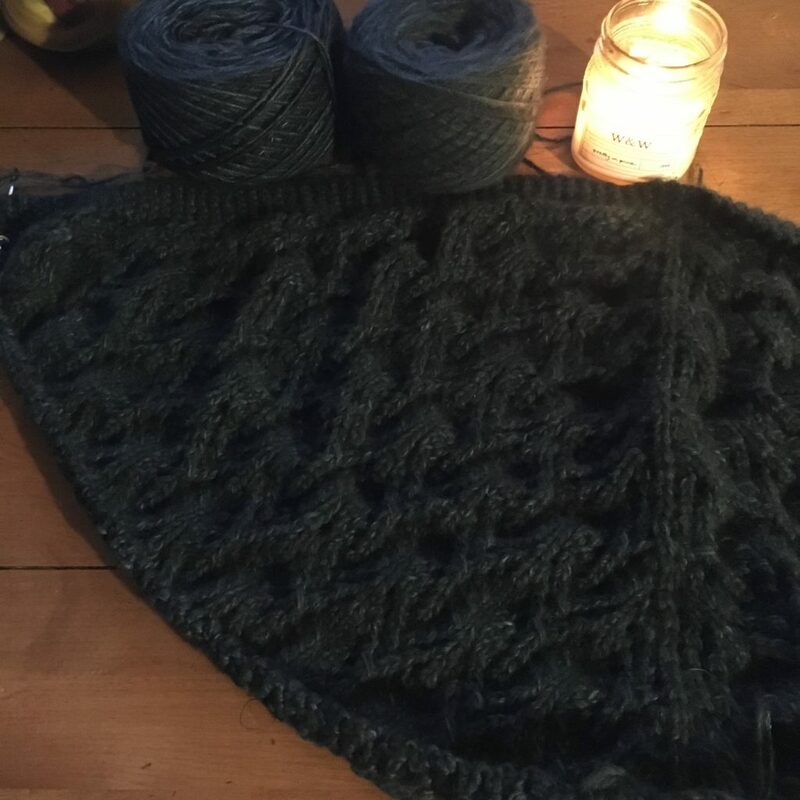 I have wanted to knit a pattern from Softsweater or Sivlia McFaden for a long time and my ” i can’t start another project” mania was overruled and I cast on for the Authenticity Shawl. I decided to double strand it and I am using a new to me yarn from the Plucky Knitter called Lusso. The label says it is a sport weight felted cashmere and I have using it with their Spiffy yarn a cashmere/silk yarn blend. It feels fantastic and I like what’s being created but I have say that the fuzziness factor is turning it in to a giant piece of velcro and everything wants to stick to it. I have managed so far not to drop it on woodchips or pine needles, but I will need to be extra careful where I set this project down and what I wear it with. 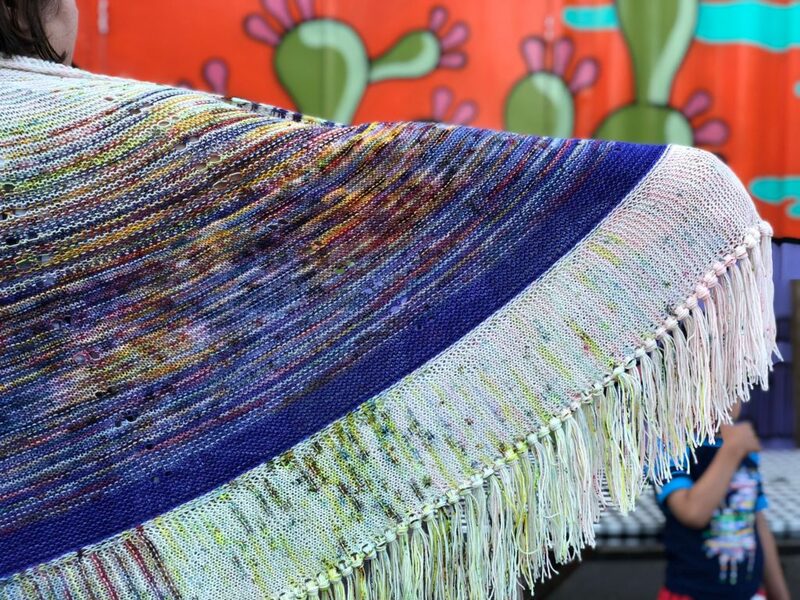 I am still open minded about the yarn but the fuzz factor I have experienced is definitely noteworthy. I am also knitting a hat with some Groovy Baby (also by the Plucky Knitter) which is one of their cashmere yarns. I acquired it during an online sale and have wanted to try knitting with this base as well. It is fuzzy, but seems to be the normal fuzz that one would associate with a cashmere yarn. 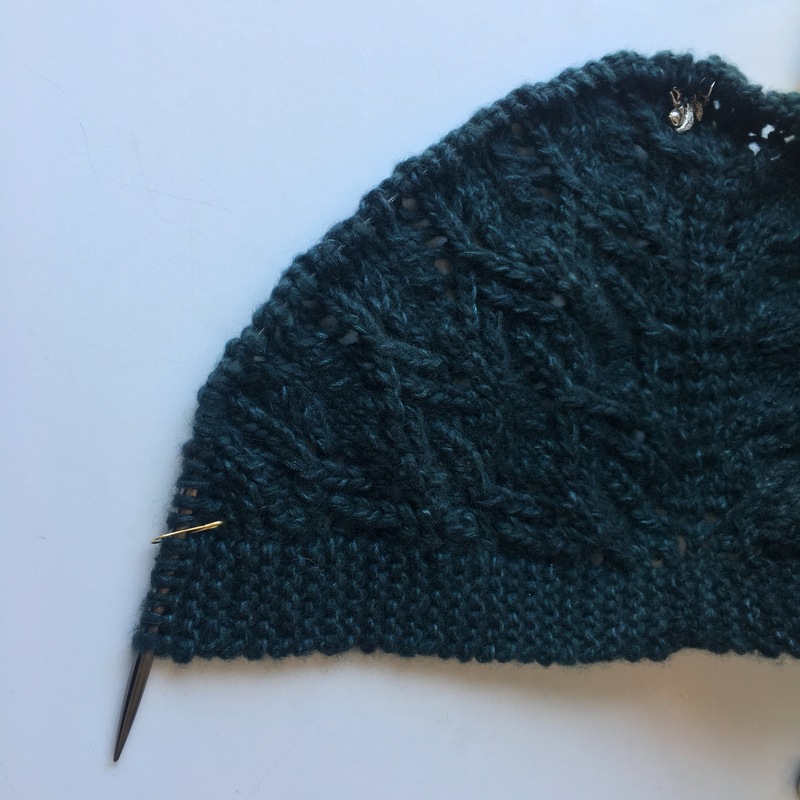 I am knitting the Skinner Hat by Melissa Labarre which has been in my Ravelry queue since 2014 ( I would say that this means that knitting this pattern is well overdue, but if you see the rest of my queue there are plenty of patterns that I could apply that statement too. 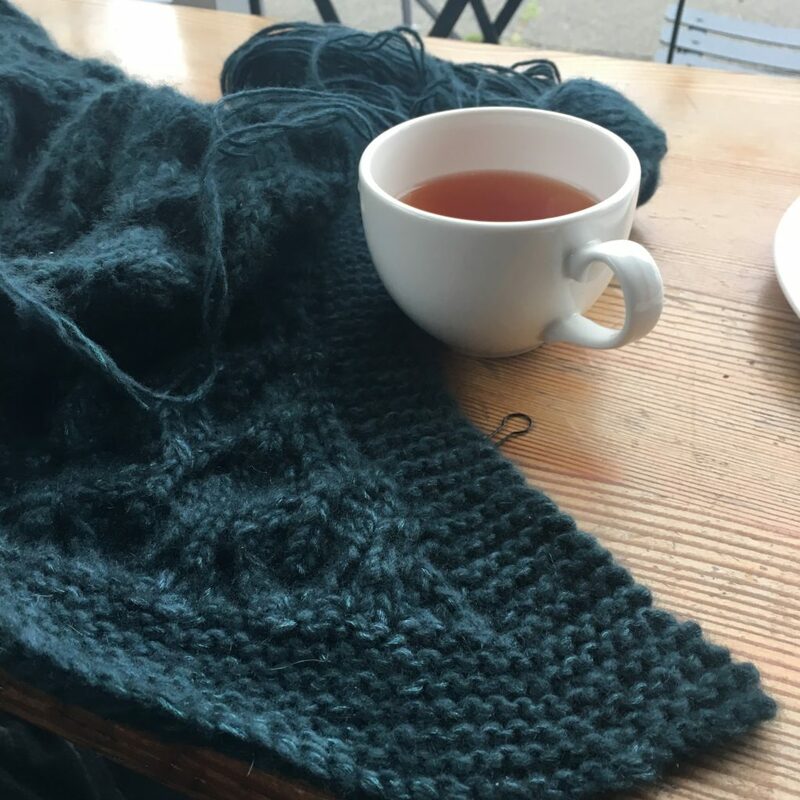 I know that there are summer yarns and summer knitting can be done with non wool yarns, but I am counting the days until fall. 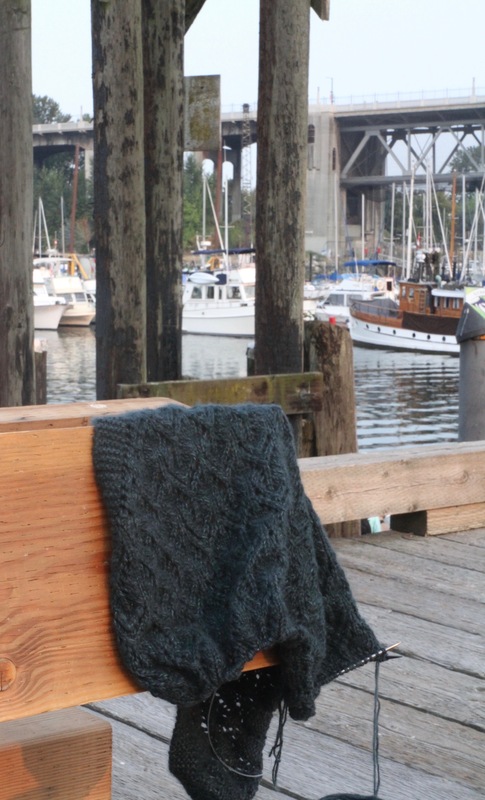 I went down to Portland and the AC was such a perk, it made me want to knit with wool. I have felt the need to keep knitting in the sweltering heat so when the weather finally turns I will have an assortment of gifts and also some fantastic accessories. I should mention that most of these accessories will be teachers gifts. Gosh, if there was no outlet to gift hand knits I think you might see my house on an episode of “Hoarders”. 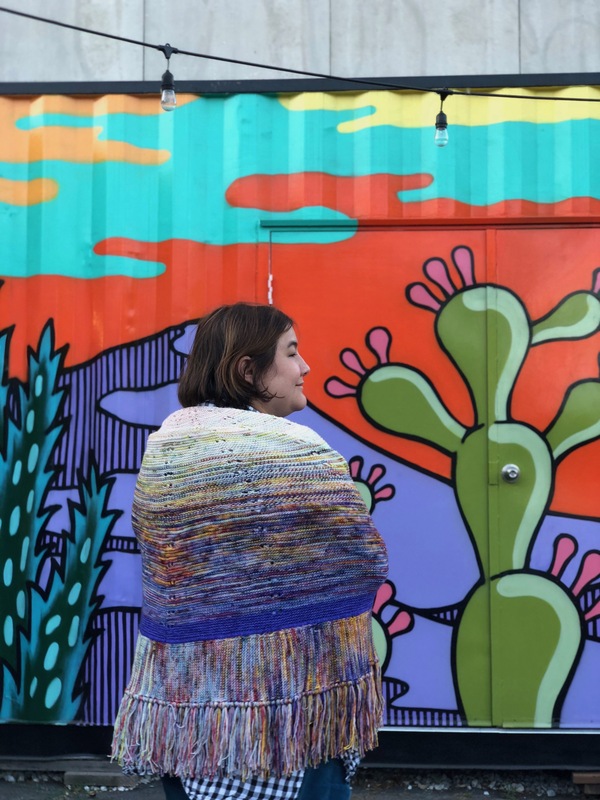 It may seem a bit nutty, but I recently finished my Saturate Shawl with with a kit from Woolenboon and I decided to gift it to a coworker who crochets, and appreciated handcrafted fiber art. It is a beautiful piece and a lot of work, but it just wasn’t something I would wear or in my colors, so despite having spent a good chunk of time on it, I thought the better thing to do was send it to a place where it would get worn and appreciated. 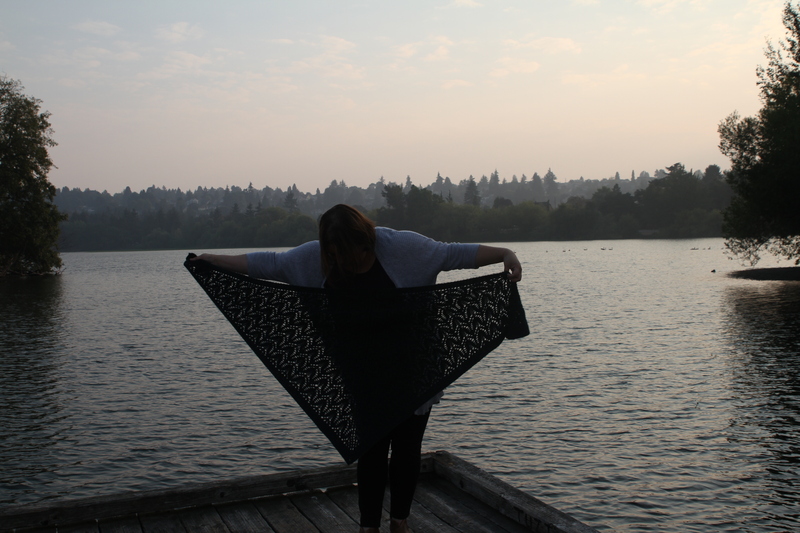 That’s not to say I wouldn’t take advantage of getting some photos in my recently finished shawl. My friend Thao took these beautiful pictures. 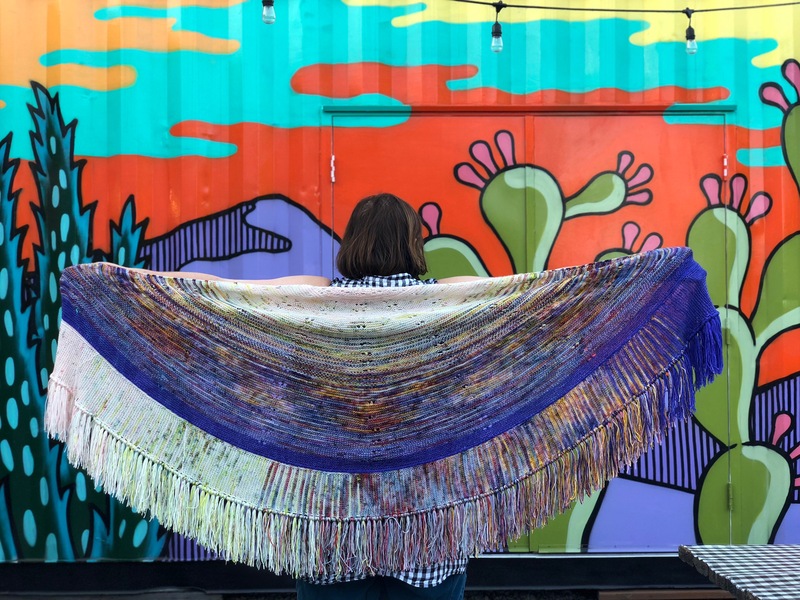 Do you have any patterns that you love to gift knit, or projects that you want to knit but decide to gift? Everyone has a different approach and I’d love to hear yours.